Spiros Angelikas was a designer as well as the owner of the firm, Spiros Associates. Mr. Angelikas designed the illustration seen on the poster for Friday the 13th 1980 and his firm helped advertise the film as well. After the original film in the franchise was a box office success and a sequel was in the works, Spiro was asked once again to create a poster for the second film. 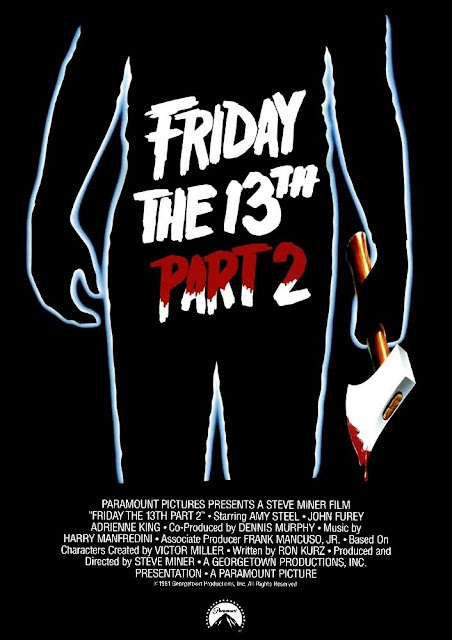 The original poster design for Friday The 13th Part 2 (top picture seen below) had a similar look and feel to the first film's poster, even showing off the the original film's shocking ending with Jason jumping out of the lake to get Alice in the canoe. Although this time the poster art showed an adult Jason emerging from Crystal Lake. The image in the original Part 2 poster art was commissioned by Paramount Pictures and Georgetown Productions and although producers were impressed by Angelikas’ work, it was decided to save the reveal of the character of Jason Voorhees for the film itself. A new, albeit, more simplistic one-sheet was quickly thrown together for the initial promotion of the film (bottom left picture seen below). 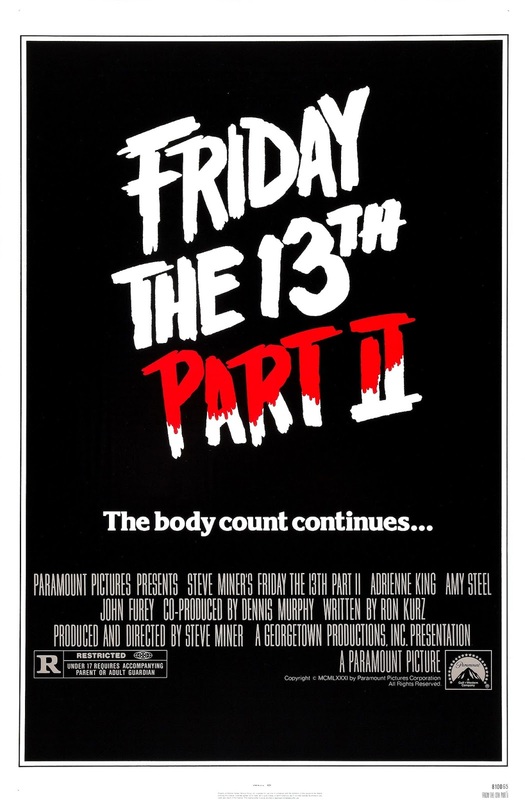 Shortly after the stripped down poster was sent to theaters to promote Friday The 13th Part 2, elements of the original poster design made it's way into the normal rotation of marketing materials as the silhouette of the killer was used in further poster art and newspaper ads (bottom right picture seen below). It took nearly 20 years for Spiro Angelikas' original poster artwork to surface online and for fans to get a glimpse of this original poster art. Do you like the art and would you have rather Paramount used this to promote the film instead of the posters we had in theaters and video stores?